Tonight we are heading to Craven Cottage, the stadium for the football (soccer for my American readers) team Fulham, located in London. This will be our third football match in England since we moved here in September. These grounds have been Fulham’s home since 1896. In 2004 the stadium was refurbished and it seats 25,700 people. The temperature will be quite cold this evening. They are forecasting that it will be 34 degrees Fahrenheit (1 degree Celsius). I’ll have to bundle up. The good news is that no rain is in the forecast. 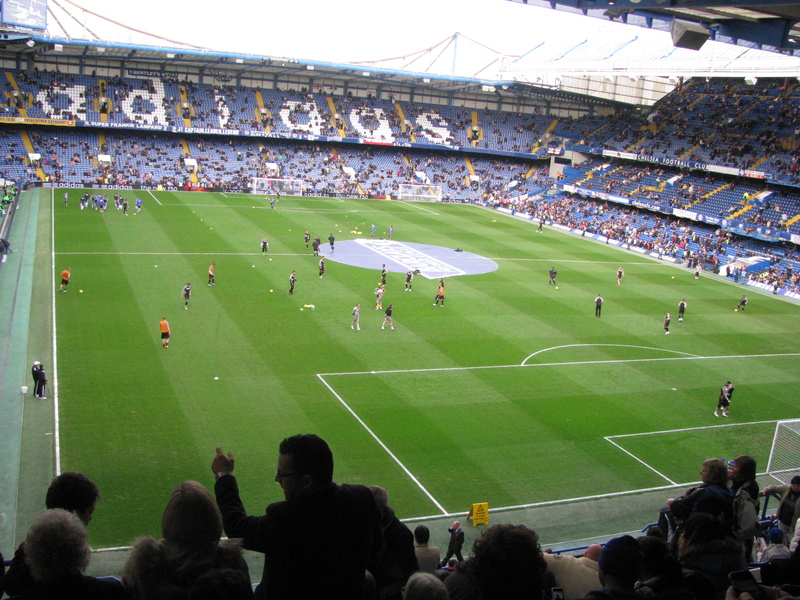 Previously we have seen a match at Wembley Stadium and at Stamford Bridge, home of the Chelsea Football Club, which is also located in London. For two sports nuts, we are in heaven. I’m excited to see the action tonight! 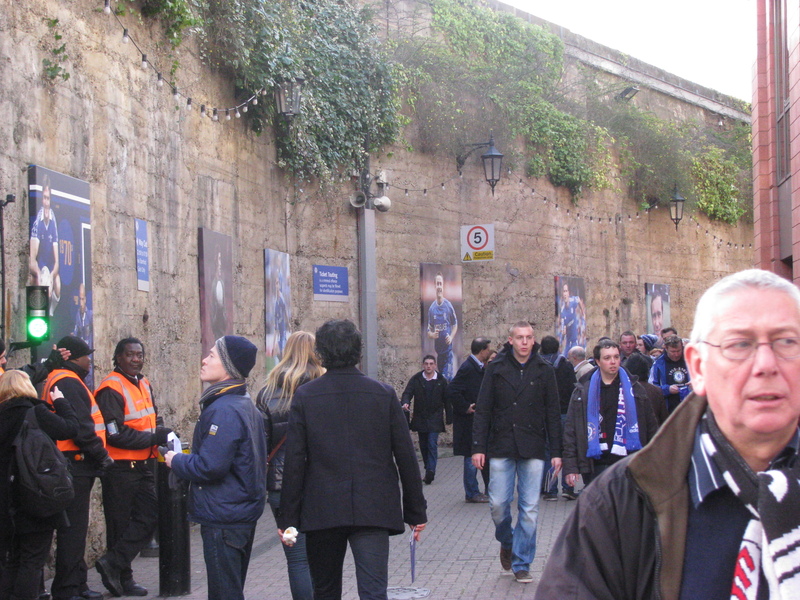 Here are some photos of our time at Stamford Bridge last December. 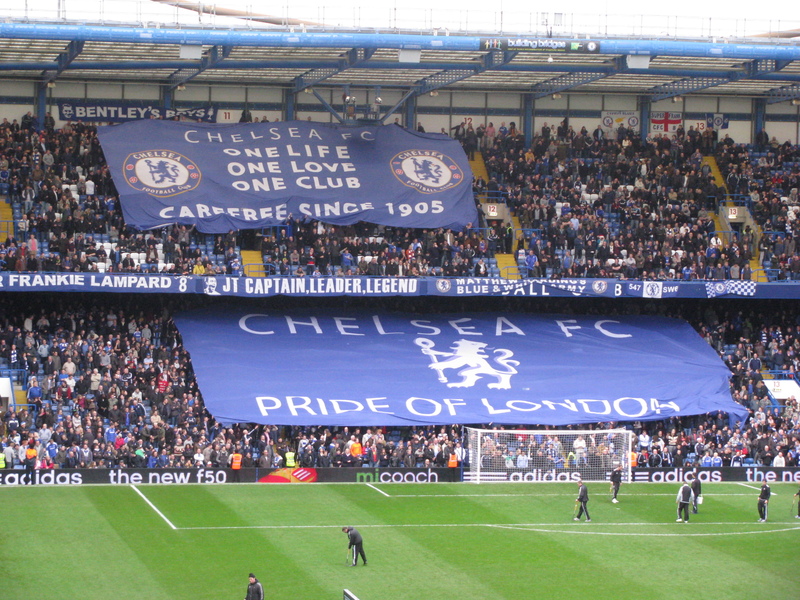 This entry was posted in London, Sports and tagged Chelsea Football Club, Craven Cottage, England, English Premier League, Football, London, Soccer, Sports, Stamford Bridge. Bookmark the permalink. 1 degree Celsius – not very comfortable! Better watch a soccer game in Africa! I’m hoping for an exciting match so I won’t notice the cold too much. I like the ivy on the wall. Craven Cottage – doesn’t sound like a football stadium somehow! I hope you have a good time and there’s a great atmosphere. BTW – don’t you just love the phrase ‘bundling up’! We did have a great time and the people were fun, except for the guy who was sitting in my seat and then fought with me about it. Oh well. We got it figured out. Bundling up is a great phrase! Hope it was fun! 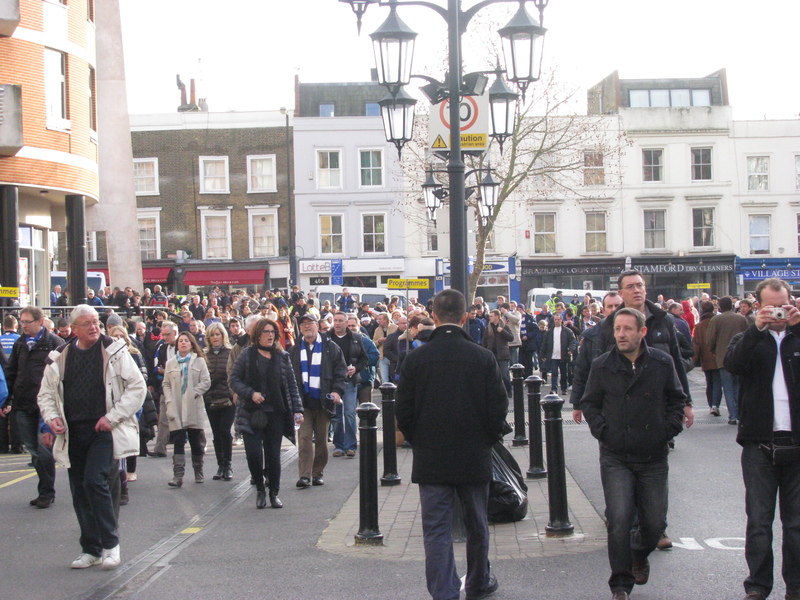 I’ve been to a football game in England, and it was quite an adventure to say the least. 🙂 I think I know what you mean. The fans are passionate here. It is like there is competition in the stands among the fans who can be the best supporters. It is fun! It was fun. We ended up being in the 4th row which was pretty cool!